Well the latest economic data was just released showing negative economic growth and that the economy is shrinking! We must help Dear Leader Comrade President celebrate the completion of his 5 year plan for economic destruction a year early! Not like Romney was any better. All the people nominated in the 2012 elections we're corrupt and the elections are becoming rigged. Crap, this is getting heavy. Well, of COURSE we're corrupt, gjet. We are the Party. That's what the Party is all about. All we want is what's ours...and some of yours, too. 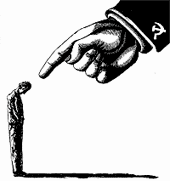 I believe the Karl Marx Treatment Center is offering complementary Jiffy-Lobos™ for new progs this week. All Hail Comrade Dear Leader Obama! .....pay no attention to the ring of cognitive dissonance between your ears... this is normal comrade... as wee progs once as well, we acknowledge the growing pangs can be overwhelming at times... but it's nothing that a good Jiffi Lobo won't cure... After train ride and an extended stay shoveling frozen tundra we'll make sure to lower the drill... ahem... I mean deliver the sweet calm reassurance of a good Jiffi Lobo to help ease the pain of your political discomfort.After all Dear Leader Obama has done for us... it's the least we can do for you. Party Members Only: This is just the beginning Comrades, with grateful obedience we long for the glorious outcomes of the next five year plan!Hail Obama! I trust this will be of some comfort during your indoctrination awakening. The March Towards Economic Destruction Continues! Listen To Early Revolutionaries Plan!